Lowest Prices Ever! Clearance Prices on our "Good" and "Better" phones and a FREE Travel Pack Carry Case with all phone orders while supplies last. Order Now! ALWAYS HAVE PEACE OF MIND! The FCC rulings mandate that cellular phones without a monthly service contract be able to make free 911 calls, place credit card calls or collect calls any where in the US. 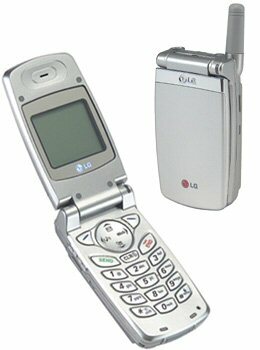 These are the toughest cellular phones around. Great to throw in your car, RV, boat, camper, or second car for emergency situations!! As you might already know cellular phones are not free. Cellular providers such as Verizon pay $130 to $230 for cellular phones that are generally given away free to a customer who signs a one year contract. This one year contract also includes a monthly fee that ranges from $15.00 to $28.00 per month. These AA Communications emergency 911 cellular phones are used primarily for personal safety. 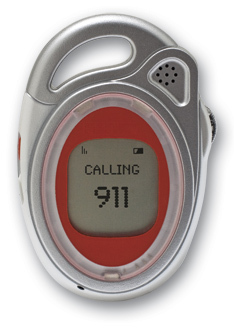 These emergency 911 cellular phones have no monthly phone bill, can dial free emergency 911 calls and make credit card calls or collect calls in most areas. This is all possible because the 911 cellular phones are programmed to meet the new FCC 911 cellular rules effective December 1, 1997. These new FCC rules mandate that cellular phones without a monthly service contract be able to make free 911 calls any where in the US. The FCC cellular 911 ruling takes effect December 1, 1997 and requires carriers to accept 911 calls from non-validated phones (not activated with a monthly service contract) and forward the cellular 911 call to the local public safety answering point PSAP (911 answering center). To place an emergency cellular 911 call, press the numbers 911 and then press the send button. To place a personal call, select the number and press the send button. A recording or live operator will assist with the charge or collect call in most areas. The customer is charged $1.20 to $1.80 per minute for credit card calls in most areas. The phones meet Cellular Telephone Industry Association specifications and can be up graded to full cellular service with your local cellular service provider at any time. Emergency 911 phones are different than an old unactvated phone that someone might own in which the cellular subscription contract has expired. In that case the phone becomes unactivated but it still has a phone number in the phone as well as other information programmed into the phone at the time of purchase. These phones might cause concern with the cellular carriers because of fraud with the unactivated phone numbers. We have found that some cellular carriers block 911 calls from these unactivated cellular phones. In our Emergency 911 phone we program the phone so it is clearly identified as a cellular phone with no phone number or system ID therefore the carrier has little concern of any fraud and the percent of 911, credit card and collect calls connecting is much improved. These phones are electronically remanufactured to meet manufacturer's specifications. All phones are cosmetically refurbished to remove scratches, dents, cracks, worn or missing parts and are thoroughly cleaned. Additionally, all batteries are new to ensure the longevity of the phone. Emergency 911 cellular phones are warranted for 24 months. We selected this affordable Dual Mode Analog/Digital phone because of the analog and digital phone network geographic coverage, phone reliability, Lithium ion battery durability and LG's reputation for the best cellular phone reception. This package is the same as the good package yet it also includes the AC Wall Travel Charger. We selected this affordable Digital Tri-Mode phone because of the analog/digital phone network geographic coverage, phone reliability, Lithium ion battery durability and Audiovox's reputation for the best cellular phone reception. This is our better phone for the peace of mind of knowing that vehicle or phone battery power will always be available. The batteries can be charged in your home or in your car. �AA� stock (like new) remanufactured phones are cosmetically refurbished to replace worn parts, backs, lens and faceplates. Batteries are new. �AA� stock phones are warranted for 12 months and have a 30 day money back satisfaction guarantee if it does not meet your expectations. 2. Screen will display "Calling 911"
Once you have completed your call to 911, the phone will automatically disconnect for you. You will see a screen message stating that the call has been "Disconnected". To help independent senior citizens live more worry-free lifestyles, we introduced the world's first wearable emergency phone that works with wired land line phone. Requires no monthly subscription or service fee. 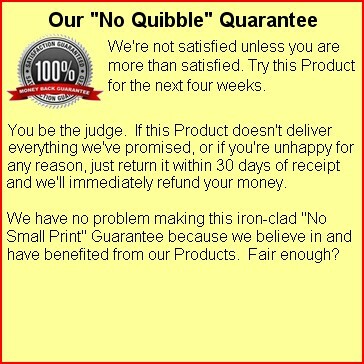 30 day money back satisfaction guarantee on all items if it does not meet your expectations or does not operate as expected in your cellular coverage area. Allow 4 days for delivery. Note: This website uses a secure server with SSL encryption for security. The information you provide to AA Communications, including your credit-card number, is protected by encryption, so it cannot be read as it is transmitted over the Internet. The encrypted data is transmitted using a secure socket layer (SSL) connection. AAA Communications will not use any of your information such as your email address and sell it to other companies. AA Communications is a member of the SquareTrade Seal Program. The SquareTrade Seal Program enables online businesses such as AA Communications to show their trustworthiness and promote buyer confidence. Click on the SquareTrade Seal below for more information about AA Communications Certified Member Profile and the SquareTrade Seal Program. If you have a question you can send us an E-mail, we will promptly respond. If you prefer to relay your question by phone please don't hesitate to call us toll free 1-800-291-5586 or 1-317-219-0366 and leave a message.